Top End Performance - Custom Camshaft Grinding for all Engines. Custom Cam Grinding for pretty much any engine. 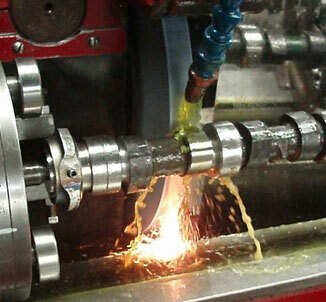 We have over 35 years of Cam Grinding experience and there are not many engines we do not have profiles for. We Specialize in BMW, Nissan, Toyota, Porsche, but offer Performance Cam Grinding for almost any engine. Please Contact Us for information, Pricing and how to send a Cam(s) in for Grinding.